Our phenomenal program integrates the various creative/cultural arts and educational themes in a safe, experiential, and Jewish-spirited setting. Each week our program offers children opportunities to explore through music, art, baking, sports, drama, dance and science. Children venture to our child inspired outdoor water play space on a daily basis and go for weekly trips throughout the neighborhood. Each Friday children participate in a challah baking workshop and interactive pre-Shabbat celebration. 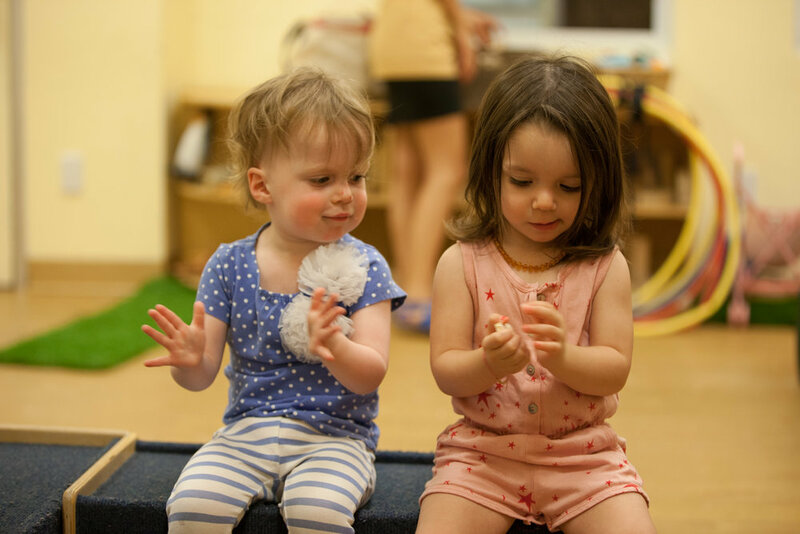 The camp tempo and unique blend of activities transmitted by our nurturing counselors and professional instructors makes Summer of the Arts the perfect setting for the NYC preschooler! Summer Of The Arts takes place at two convenient locations in Manhattan; Gramercy Park & Chelsea. The schedule, tuition, and ages varies by the location. Our beautiful, Natural State-of-the-Art, fully air-conditioned facility was designed with children’s interests and unique inquisitiveness at heart and is intended to foster curiosity. Cobblestone floors wind through the hallways and large airy windows provide each classroom with a view of our indoor garden. The garden generates daily opportunities for our children to plant and observe the fruits of their labor. The indoor sensory gym is a magnet to all children, from the hanging trapeze to the trampolines, the hammocks to the bouncing balls. Little artists love getting messy with all types of creative materials and supplies that our extensive art studio offers. The whimsy and wonder of our innovative outdoor space creates an invigorating outlet for imagination and active energy. The sandbox, painting easels, Merry-Go Round Bicycles, and planting box are designed for secure memorable outdoor exploration. Our dedicated, experienced, and professional staff is the secret ingredient to our uniquely warm and loving environment. Each child is treated with the utmost personal attention that he/she deserves. Full Payment Due By May 1, 2019. Camp Is Closed On Thursday, July 4th and Friday, July 5th. A 10% Early bird discount available for bookings made prior to March 1st, 2019. Terms & Conditions: Full Payment Due By May 1, 2019. Camp will be closed on August 16th. A 10% Early bird discount available for bookings made prior to April 1st, 2019. Terms & Conditions: Full Payment Due By May 1, 2019. Camp Is Closed On Thursday, July 4th and Friday, July 5th. A 10% Early bird discount available for bookings made prior to April 22nd, 2019.